Moving to Trinidad and Tobago will be a big adventure; there are fun things for all the family to do there. We take a look here at some of the ways your children can enjoy themselves in their new home. Trinidad and Tobago are relatively small and easy to get around, so a whole variety of beaches is within easy reach. As an expat, you can spend your leisure time taking your children to play on golden sands which tourists from around the world fly thousands of miles to enjoy. Snorkelling in the clear waters is also great fun! Tobago’s Main Ridge forest reserve is a UNESCO world heritage site. 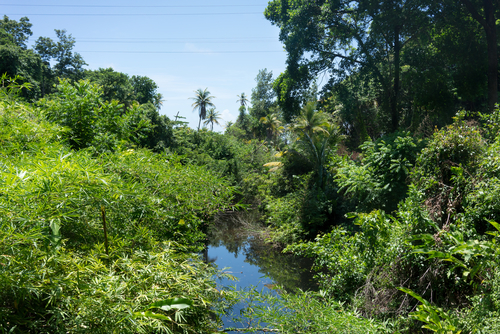 An impressive 3,958 hectares (9,780 acres) of tropical rainforest covers two thirds of the island. Waterfalls, unusual plants, insects and animal life come together to make every adventurous child’s dream come true. The ground is often muddy, and many routes involve uphill climbs, so do make sure everyone is equipped with sensible footwear. Take plenty of water too, and keep sipping at it so you do not become dehydrated. If you are attempting anything other than a short walk along a well used route, then using a local guide is a good idea. Local guides will know the routes, carry the essential first aid kit, and will actively avoid risks you won’t even be aware of. They will also be able to point out fascinating wildlife activity which you would otherwise miss, as they know what to look for. With so much access to beautiful beaches, and later to the jet skiing and surfing activities, it is essential that your kids can swim to a good level. Luckily, there are several high-quality pools in Trinidad and Tobago which run swimming lessons. For example, the YMCA runs a full programme of lessons, many of which are for children. There are a number of clubs in Trinidad and Tobago that offer football for both boys and girls. SKHY football club was set up to meet the demand for educational and physical programmes on the islands. Basketball, netball and cricket are amongst the other popular activities which are available across numerous local venues. 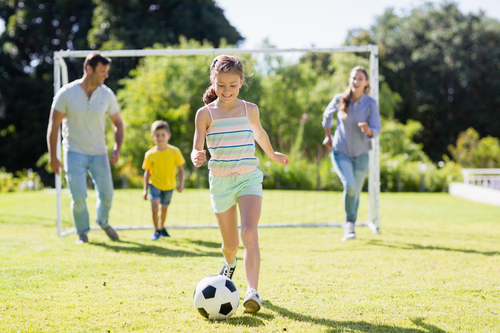 Exercise has many benefits, including a boost to the self-esteem of young people who take part in team sports, so do encourage your children to get sporty! Many horse-riding stables offer their services to the tourists as well as providing lessons to local children. The Smart Kids Educational Club run a number of classes which help children develop their creative and technological potential in a fun setting. Children between five and seven years of age can enjoy various creative courses, which incorporate concepts from design and engineering, language, arts, mathematics, science, social studies and computer coding. For those aged between eight and 17, a range of robotics and programming workshops help children develop their scientific learning and team working skills whilst having fun. The ministry of sport and youth affairs runs a number of programmes aimed at young people living in the Port of Spain, Trinidad and Tobago. They provide safe, supported spaces in which young people can become part of a young, engaged, fun community. This helps young people enjoy their social time, as well as to grow in confidence, self-esteem and independence. There are three programmes that your teenager might enjoy as a welcome break from their studies. Young people aged between 12 and 29 who live in specific catchment areas can access a range of youth development programmes and activities held at their local youth facilities. These are located at St. James, Basilon Street, Laventille, Malick, California and Los Bajos. Some of the activities are provided by companies and organisations who can help participants identify and access training and work opportunities. Other courses on offer include sports, technology, religious, educational and recreational areas of interest, in consultation with youth facilities users. The National Youth Volunteerism Programme (NYVP) works with a number of organisations who welcome young adult volunteers. Sometimes there are one-off events, such as the beach clean-up days, while young people who feel passionate about helping a particular sector of society can participate in regular and long-term arrangements. An annual NYVP Fair and regular outreach activities are held to showcase the opportunities available. Whilst volunteering may not sound like a traditional definition of fun, many young people find that their volunteering activities bring an enormous amount of self-esteem and personal satisfaction as they discover they can enjoy something at the same time as giving back to society. The annual vacation camp for youth, known as Camp VYBE (Vacation Youth Being Empowered) is offered to local residents aged between 12 and 17 years of age. Held during the July and August school vacation, the packed programme includes interesting field trips, and provides access to art, craft, music, dance and drama. As well as making new friends, participants develop new skills in leadership and teamwork. In addition, high achieving students who are aged between 15 and 19 and have shown both academic achievements and leadership potential may apply for a grant to attend the global young leaders conference. The ten-day programme for leadership development involves students from more than 145 countries around the world and is held abroad in locations such as Washington, USA. The communities on Trinidad and Tobago are small by international standards. However, whatever the age of your child, and whatever their interests, you are likely to find activities nearby for them to enjoy. Leisure time spent together will give you a chance for quality time with your children, while their participation in local community activities will build their skills, self-esteem, and social confidence. And all while they are having fun! Have you lived in Trinidad & Tobago? Share your tips in the comments below, or answer the questions here to be featured in an interview!